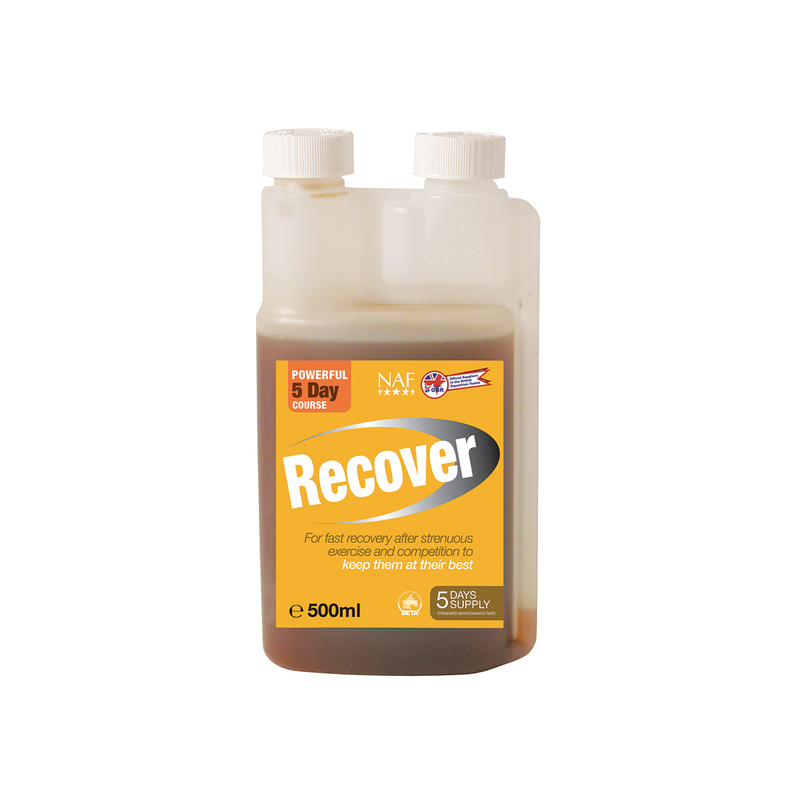 NAF Recover is an antioxidant formulation designed to aid your horse's recovery after strenuous competition or exercise. Antioxidants help the body process harmful free radicals created during exercise. One bottle of Recover is a complete 5 day course. NAF Recover can either be given in the feed or via syringe (sold separately) directly into your horse's mouth. Feeding Instructions- Give 100ml daily for 5 days.